Seizure is the disease related to the brain. The abnormal electrical activity in the brain usually is accountable for causing seizure. This abnormal brain activity triggers spasms as result of which an individual experiences constant and unmanageable body shakes. There can be several reasons for seizure like fever, injury, brain tumor, high or low blood glucose, brain injury, drug abuse, medicine or gastrointestinal disease. Patients with a history of neurodegenerative disorders such as Alzheimer’s disorder are more inclined to suffer from seizure. Some of the major symptoms of seizure are: Muscle spasms, frothing at the mouth, loss of bladder or bowel control, temporary halt in breathing and uncontrollable shaking. People often confuse seizure with epilepsy because of the nature of the symptoms which are almost alike. Seizure is divided into two broad types, i.e. epileptic seizure and non-epileptic seizure. However, here in this article we will focus on the second type named non-epileptic seizure. Epilepsy is condition where a person has frequent and recurrent seizures without any obvious reason. Non-epileptic seizures are normally caused because of some physical or psychological cause. The intensity of the symptoms of seizure differs from person to person and usually persists from 30 seconds to two minutes. However, there are instances where the symptoms are successive and last for more than five minutes and person often becomes unconscious. In such circumstances, immediate medical attention is essential. It was in 1981 when the International League Against Epilepsy (ILAE) distinguished between different types of seizures for the sake of proper diagnosis and treatment of the disease. ILAE classified the seizure into two categories, i.e. focal seizure and primary generalized seizure. Motor Seizures: Motor seizure is a type of simple partial seizure characterized by abnormal body movements like involuntarily hand movements and stiffening of different body organs. In severe case, speech of a person also gets influenced by the seizure. Sensory Seizures: As the name suggests, it has an impact on the senses of an individual. In this seizure, person’s senses of hear, taste, smell and vision are largely affected. Visual hallucination and illusions are some exceptional cases. Autonomic Seizures: In this seizure, the nervous system of a person is influenced as a result person feel changes in its bodily movements. Symptoms include: disturbed hear rate, disturbed breathing, sweating or unpleasant sensations in the head, chest or stomach. Psychic Seizures: Psychic seizure normally affects the emotional domains of a person, i.e. it alters the way person feels, thinks or experience different things in his life. An individual with psychic seizure finds it difficult to express himself as his speech and written ability both suffers. Often people are reported to experience a sense of déjà vu. 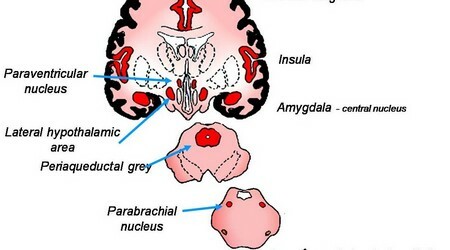 Complex Partial Seizures: Complex partial seizure is a condition when simple partial seizure influences the temporal or frontal lobe and extends to a major area of the brain. 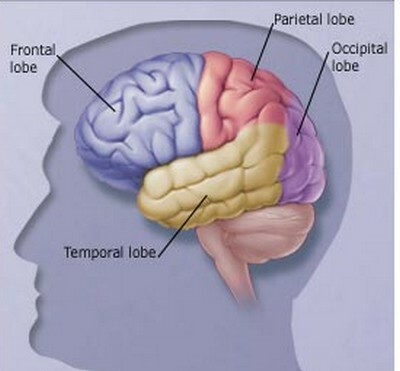 Temporal Lobe: It first develops in the temporal lobe and later extends to larger area disturbing the awareness and alertness of the people. The most obvious symptoms are that of a daydreaming and forgetfulness. 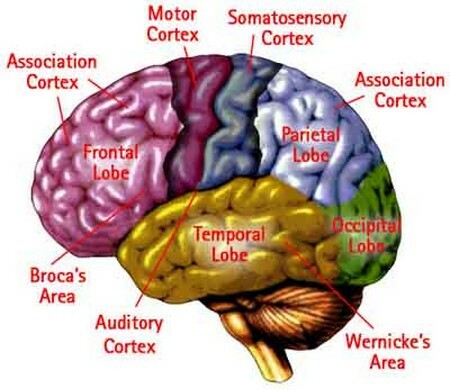 Frontal Lobe: The seizure that develops in the frontal lobe is normally of short duration than that develops in temporal lobe. Symptoms include the pelvic thrusting and legs movement as if one riding a bicycle. Secondarily Generalized Seizures: These are the modified form of complex partial seizures. People who has already fallen the victim of partial seizure experience secondarily generalized seizure. This seizure develops when the electric activity in the brain extend to the larger part. Most of the people are not able to remind the first attack of the seizure. Primarily generalized seizures develops when the electrical activity in the brain become extensive and extend to both the parts of the brain. Transmission of genetic qualities is the major cause of primarily generalized seizures. Following are given the few types of primarily generalized seizure. Myoclonic Seizures: This is a short span seizure that persists for very short time. Person fells sudden pulls or muscle spasms on any one side of the body. Absence Seizures: Absence seizure normally persists for 20 seconds. It begins and ends suddenly. It is so sudden that majority of the people don’t realize that they had a seizure. During its short span, it disrupts the responding ability and consciousness of a person. Recurrent blinking of eyes or stare are some common symptoms. Atypical Absence Seizures: In this type of seizure, a person can still respond but with minimal of efforts. It also begins and ends suddenly and normally persists for about 30 seconds. Eye blinking and slight lip movement are common symptoms. Atonic Seizures: Atonic seizure is often referred to as akinetic which literally means without any movement. During the episode of this seizure, a person losses his muscle strengths, however, he is still responsive. Tonic Seizures: This type of seizures usually takes place when a person is asleep. He abruptly feels rigidness of the body, arms or legs. It normally lasts for 20 seconds. Clonic Seizures: The term clonic is derived from clonus which means succession of rapid spasms in a muscle group. This seizure is rare. Tonic-Clonic Seizures: It is a combination of both tonic and clonic seizures. The tonic phase occurs before the clonic phase. A person finds his body getting stiff and he may not able to maintain his balance and fall down. Then the clonic phase takes over and a person experiences sudden body movements. Above mentioned are some of the different types of seizures. It is important to note that more than one type of seizure can occur simultaneously in a person with a span of 30 seconds or more. If the symptoms are recurrent, one should seek the medical help immediately as it can be a prediction of severe illness. One can prevent seizure by having proper awareness and medical treatment.